Pristine home with two spacious, updated levels that mirror each other...both have 2 bedrooms, open living, dining and kitchen area and wonderful, large screened porches up and downstairs! Upstairs features pretty wood floors, one bath, large laundry/storage room - second bath could be added in laundry area. Downstairs has nice engineered wood flooring and 2 baths with laundry area. Perfect for buyer who wants to use for full time home, second home with rental potential on investment property. 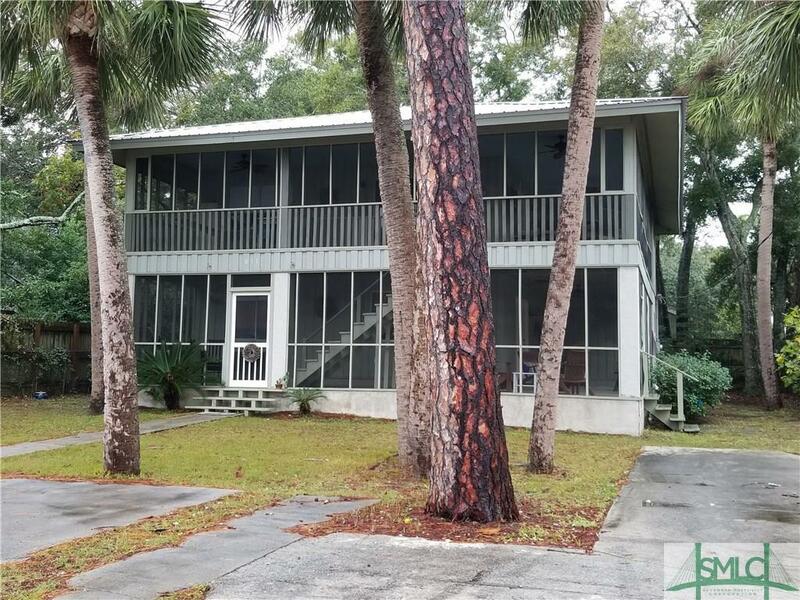 Great location just 2 blocks to some of the prettiest beach area on Tybee. Short walk to the YMCA, gym, tennis courts, volleyball courts and Memorial Park.